In an effort to soften the blow of a surcharge tacked onto insurance policies for North Carolina truckers, officials with the state’s insurance risk pool have cut in half the surcharge that will plug a $96 million shortfall in the agency’s balance sheet. The North Carolina Reinsurance Facility’s 7.83% surcharge, to go into effect on Oct. 1, will be assessed on new and renewal commercial vehicle policies likely for the next two years. Prior to the reduction the surcharge was 14.63%. The surcharge applies only to commercial liability coverages including bodily injury liability, property damage liability, medical payments, uninsured motorists and underinsured motorists coverage premiums. It will be assessed on North Carolina motor carriers, motor coach operators, taxi owners, logging truck operators, dump truck operators and others. The surcharge has been imposed to recoup the facility’s losses that have been building over the past four years, in part due to its charging rates too low for uninsurable truckers and in some cases even insuring ineligible motor carriers. The surcharge will not be applied to a motor carrier’s policy for collision or comprehensive coverage, according to facility officials. 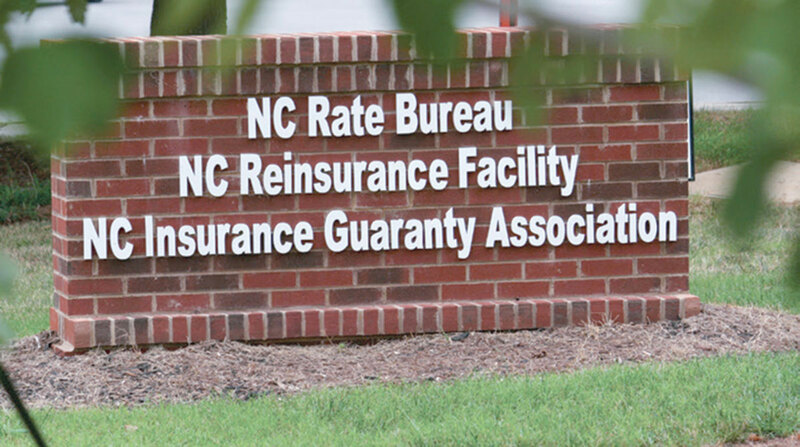 “We worked with the Reinsurance Facility and they agreed with us that the previous surcharge percentage would be very difficult for businesses to pay since they had not budgeted for the increase,” said Crystal Collins, president of the NCTA. The shortfall has been gradually building in the past few years, “lurking in the background” creating “significant angst” concerning the facility’s financial status, according to the risk pool’s 2017 report. The reinsurance facility, created by the state’s 1973 Motor Vehicle Reinsurance Facility Act, is a statewide partnership of insurers intended to establish a viable reinsurance market to ensure that the state’s high-risk commercial vehicle operators unable to obtain liability insurance elsewhere can still meet the state’s mandatory liability law. By law, the facility is supposed to only allow liability insurance for state-domiciled motor carriers with valid driver licenses that have been refused liability insurance from an insurance company. But since about 2014 the overall commercial vehicle insurance business in North Carolina and nationwide has not been healthy and insurance companies have essentially been losing money, according to facility officials. Rob Moseley, a Greenville, S.C., attorney whose clients include North Carolina trucking companies, said he welcomed the surcharge reduction, but said it won’t make the financial shortfall go away anytime soon.